I am not your typical Central Pa wedding photographer. I have photographed over 100 weddings of various races, ethnicities, religions, and sexual orientations. While I'm based in State College, I love to travel and visit new and unique venues. I have photographed weddings throughout Pennsylvania, Delaware, New Jersey, Maryland, Washington D.C., and Northern Virginia. Whether you have a small intimate backyard wedding or a 200+ guest list in a grand ballroom, I treat every wedding with the level of professionalism, enthusiasm, and creativity. Here is a small sample of what you can expect from me. If you enjoy my work then I'd love to meet with you in-person to share with you a full wedding gallery, so that you can get a very detailed understanding of how I can document your wedding day from beginning to end. "We could not have been happier with Michael as the photographer for our wedding day. He was responsive and flexible during the planning process, meeting with us in person and over the phone. On the day of our wedding he was fantastic - he was able to corral our bridal party and large family for pictures in a friendly and efficient manner, and kept everything fun but also focused so we kept moving forward on our timeline. Along with capturing a bunch of great candid shots, he checked in with us multiple times during the reception to ask if there were people we wanted to make sure we had pictures with, which I really appreciated. When we got the pictures back they were simply stunning. 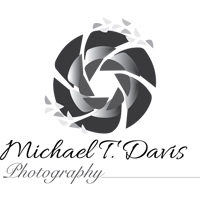 Hiring Michael is a 100% guarantee for beautiful, creative pictures and a fabulous wedding day experience."